The scarf is knit as a single-knit flat panel on the round purple 48-peg adult sized hat loom by Knifty Knitter. After the flat panel is finished, the ends are then stitched together to create the infinity scarf. 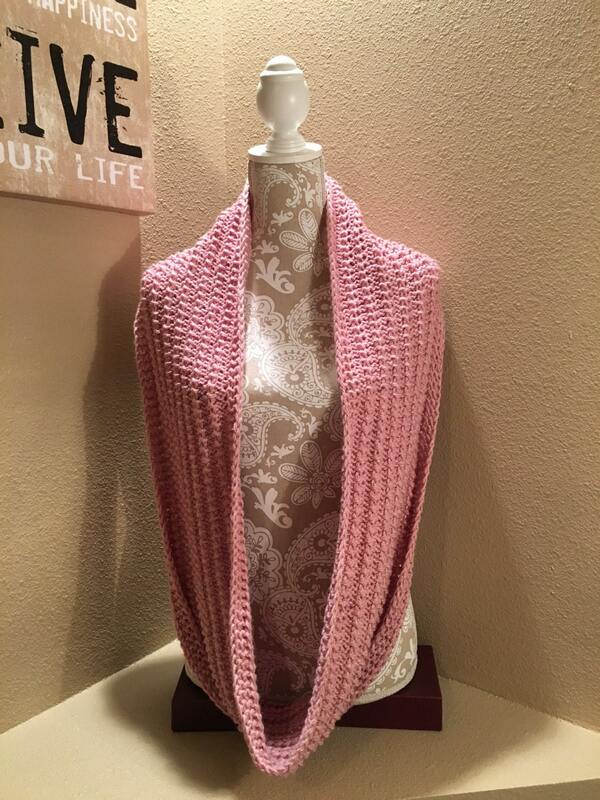 The only stitches you need to know to knit this up are the e-wrap knit, u-knit (or flat knit), and the purl. 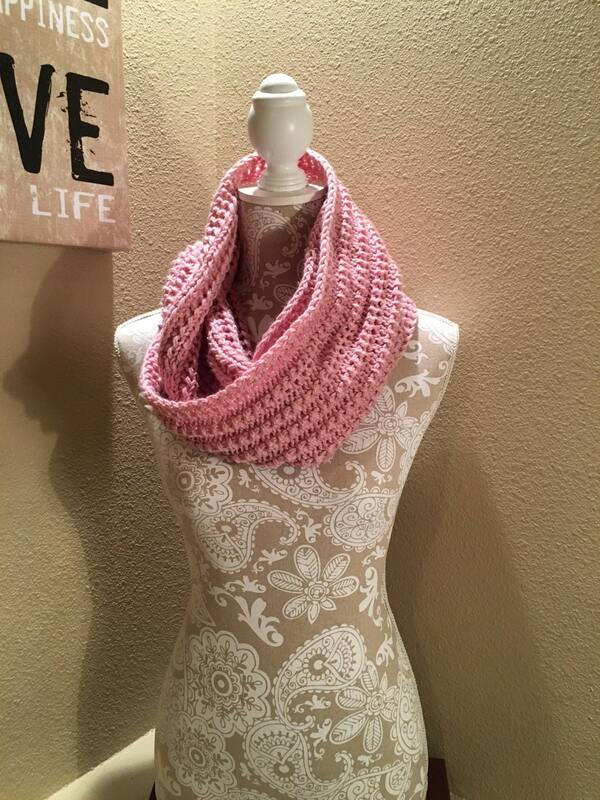 Watch my “Garter Ridge Hack for Loom Knitters” to make knitting this scarf a breeze. 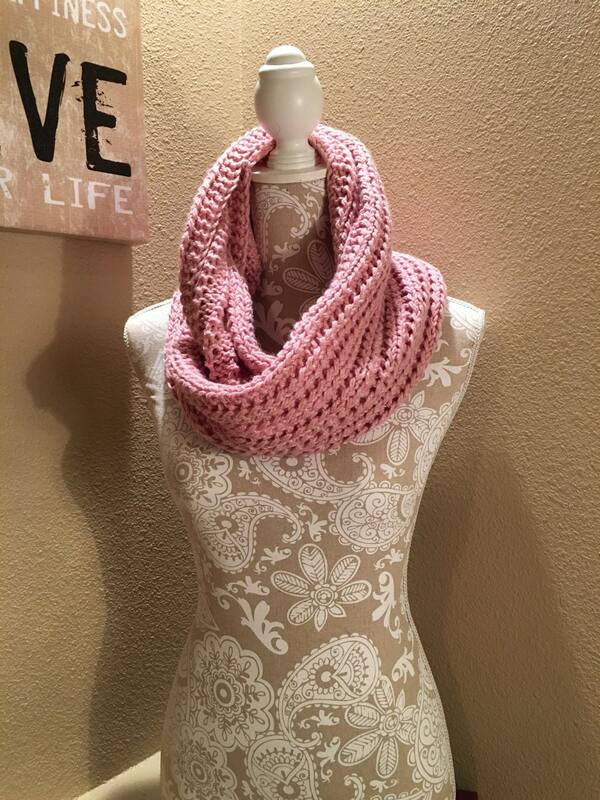 This scarf is fun and relatively easy to knit up. Plus, there is enough variation to keep me intrigued to the final stitch, but not so much that I have to have complete silence in order to knit without messing up. 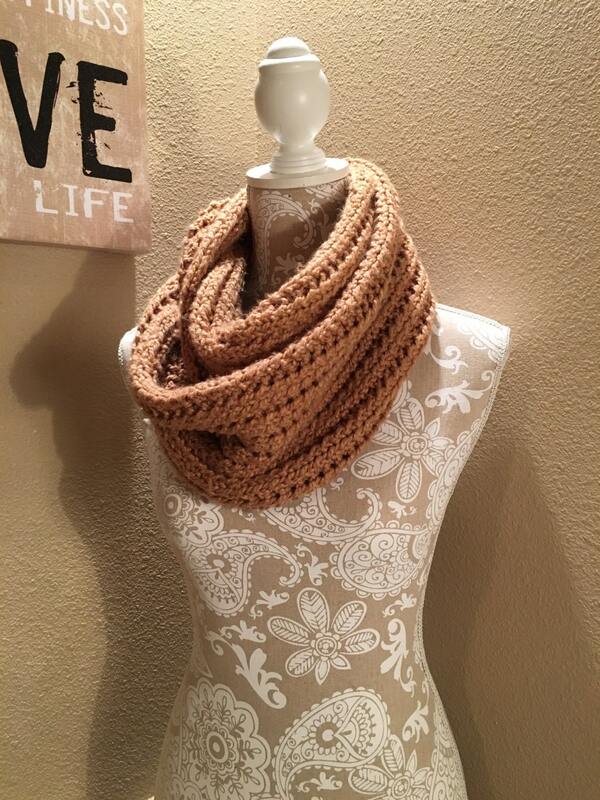 I also like the fact that the scarf has a subtle, but distinct texture difference from the front and the back. I like being able to wear it either side out, depending on the look I want. I hope you enjoy seeing your speedy progress as much as I did mine. Note: The rose scarf was knit with 2 strands of Baby Bee Sweet Delight Pomp in the Rosy Cheeks colorway, which is a DK weight yarn. I used approximately 660 yards of this yarn. 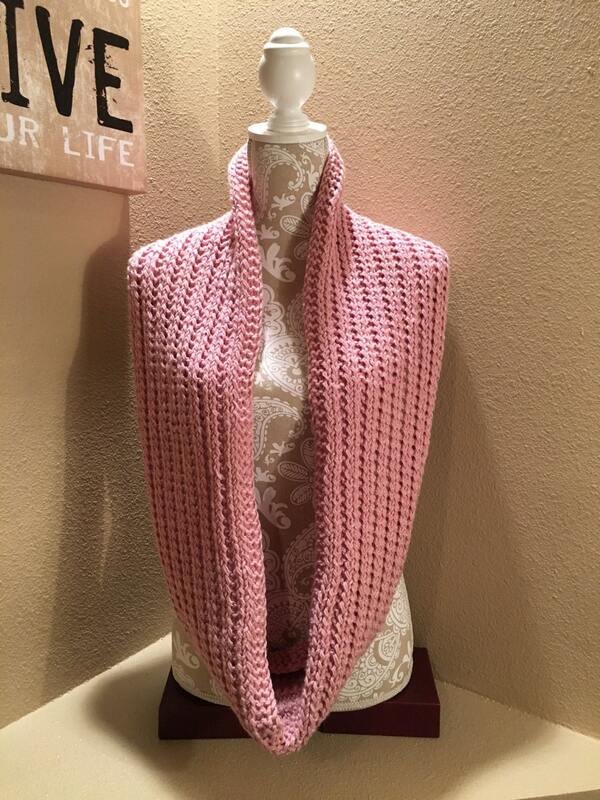 This loom knit pattern is ready for download now as a PDF file.